Researchers at the Eli and Edythe Broad Center of Regenerative Medicine and Stem Cell Research at UCLA have published a study demonstrating how specialized proteins are able to change the identity, or cellular characteristics, of skin cells and create induced pluripotent stem cells, which have the ability to turn into any cell type in the body. This research, led by senior authors Kathrin Plath and Jason Ernst, could influence the creation of healthy tissues to cure disease. Induced pluripotent stem cells were first created a decade ago when scientists showed that tissue-specific cells such as skin or blood cells could be removed from a person and reprogrammed back to a pluripotent state. These pluripotent cells can then turn into any cell type in the human body. Since they are made from the person's own cells, the induced pluripotent stem cells are perfectly matched to that individual and therefore hold significant potential for the creation of healthy patient-specific tissues and cells that could treat or reverse disease without immune suppression. Tissue-specific cells are reprogrammed to a pluripotent state through a process that involves the addition of proteins called "transcription factors." Four specialized transcription factors are typically used in the reprogramming process. These factors cause the tissue-specific cell to shut down its own identity and activate the characteristics of a pluripotent cell. However, scientists did not have detailed information on how the four transcription factors influence these processes. In particular, how the factors suppress the tissue-specific cell's identity was unclear, since these transcription factors don't typically function as suppressors. In the new work, the researchers added the four transcription factors to mouse skin cells and mapped the transcription factors' interaction with the cells' DNA. This process identified the DNA locations that change cell identity and provided unique insights into how those DNA locations have this effect on the cells. When the researchers analyzed the data, they made two key discoveries: the transcription factors shut down the mouse skin cell's identity and activate pluripotency simultaneously; and three of the four transcription factors need to work together to locate and regulate the DNA locations that are important to both steps in the process. 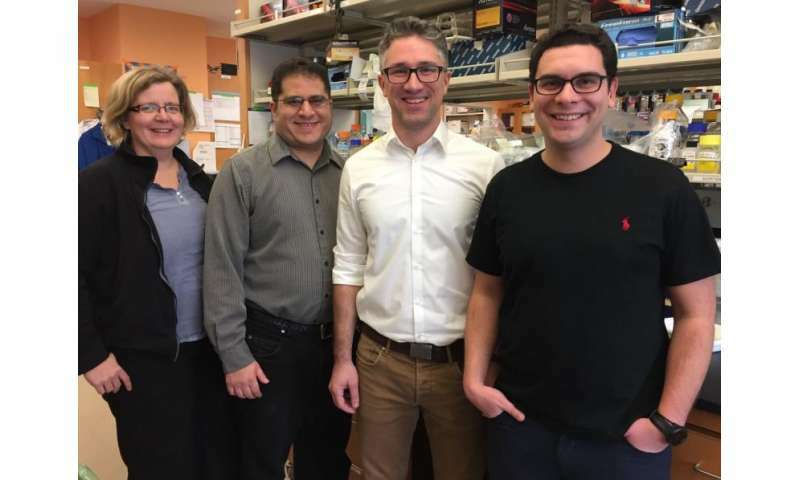 Taking their work a step further, the researchers used the data to predict which additional transcription factors might boost the cell reprogramming process and subsequently added a fifth transcription factor to the mouse skin cells. This new combination of factors more effectively suppressed the tissue-specific cell's identity, which accelerated and enhanced the transition to pluripotency and increased the efficiency of the cell reprogramming process by a hundredfold. By understanding the process through which a skin cell changes into a pluripotent cell, researchers can refine the process to increase consistency. As this research moves forward, new approaches that change the nature of one cell type to any other desired cell type can be defined and tested. Furthermore, identifying exactly how transcription factors change a cell's identity, and finding ways to increase the efficiency of the process, are two critical steps in the effort to effectively combat many deadly diseases with stem cell-derived tissues or cells.